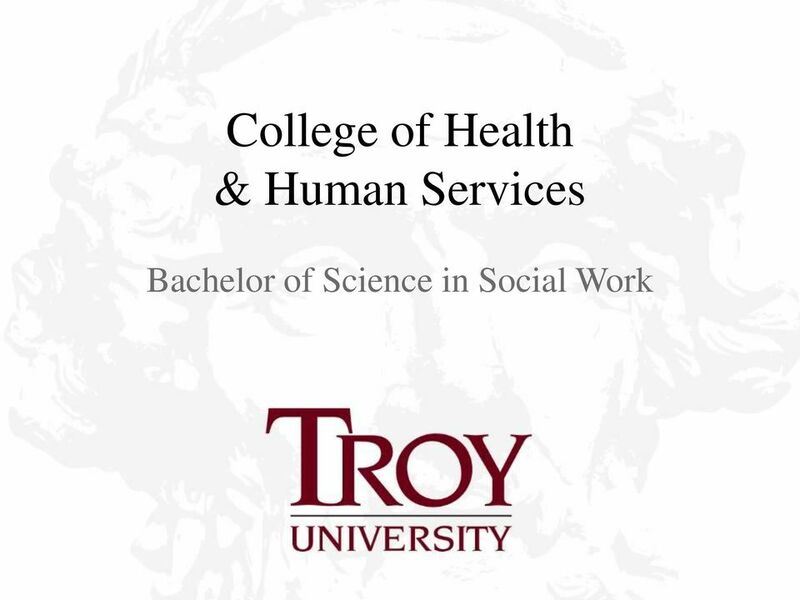 Download "College of Health & Human Services. 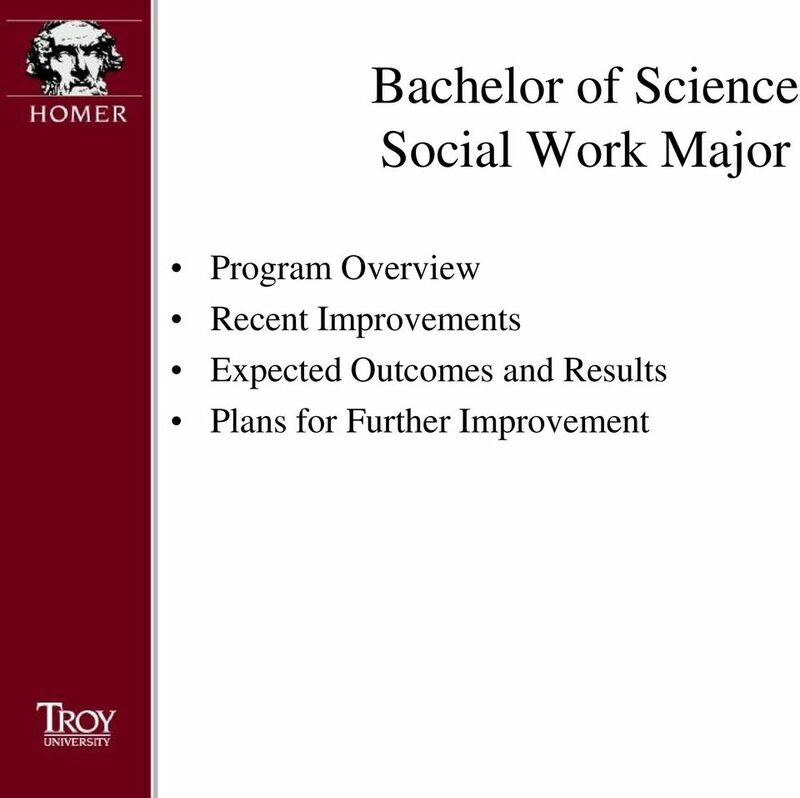 Bachelor of Science in Social Work"
3 Program Overview The University offers a Bachelor of Science in Social Work on the Troy campus and on the Phenix City campus. 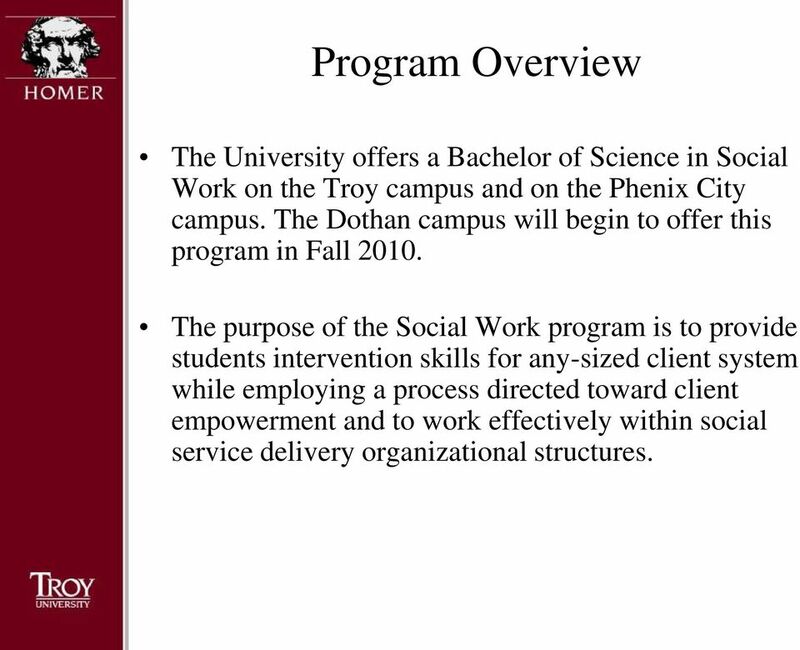 The Dothan campus will begin to offer this program in Fall The purpose of the Social Work program is to provide students intervention skills for any-sized client system while employing a process directed toward client empowerment and to work effectively within social service delivery organizational structures. 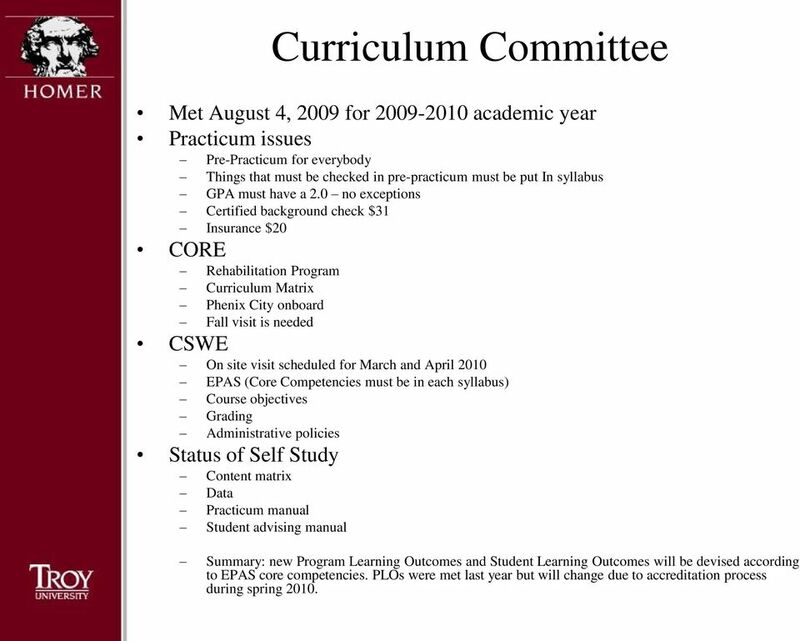 7 Curriculum Committee Met August 4, 2009 for academic year Practicum issues Pre-Practicum for everybody Things that must be checked in pre-practicum must be put In syllabus GPA must have a 2.0 no exceptions Certified background check $31 Insurance $20 CORE Rehabilitation Program Curriculum Matrix Phenix City onboard Fall visit is needed CSWE On site visit scheduled for March and April 2010 EPAS (Core Competencies must be in each syllabus) Course objectives Grading Administrative policies Status of Self Study Content matrix Data Practicum manual Student advising manual Summary: new Program Learning Outcomes and Student Learning Outcomes will be devised according to EPAS core competencies. 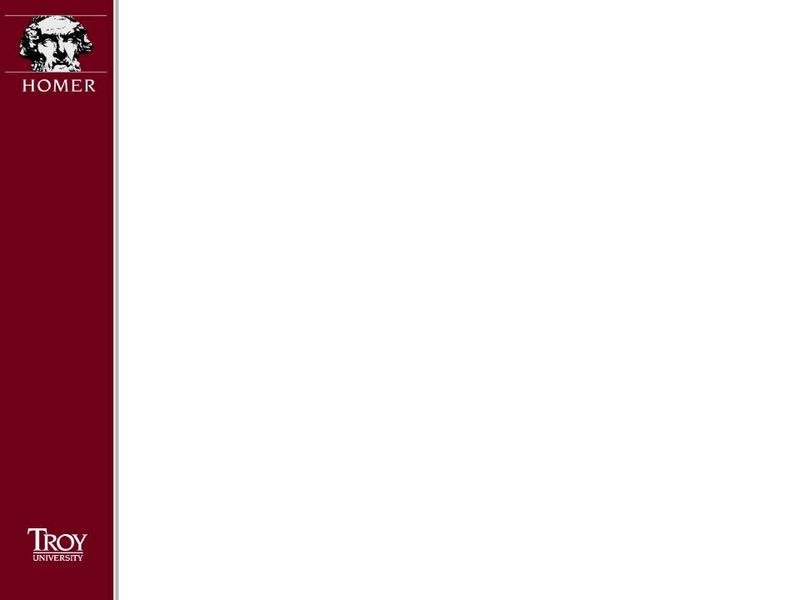 PLOs were met last year but will change due to accreditation process during spring 2010. 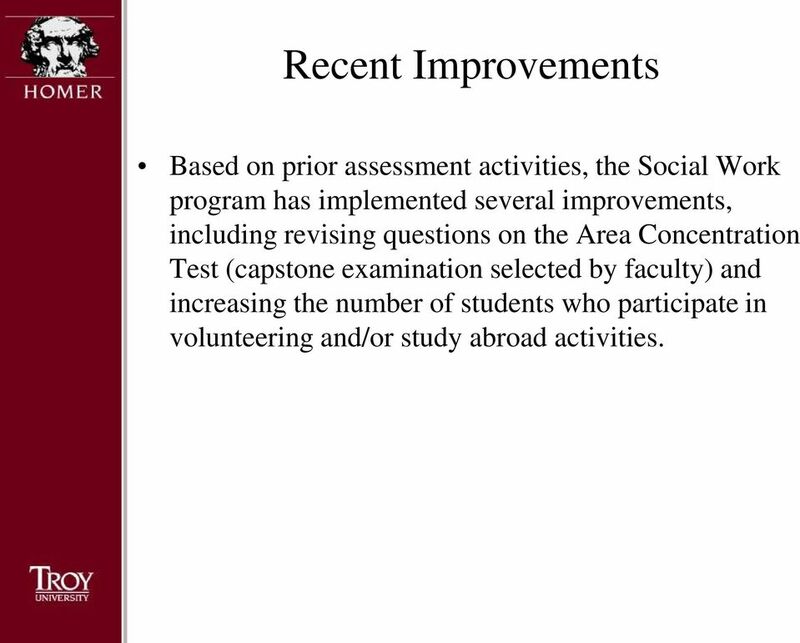 8 Recent Improvements Based on prior assessment activities, the Social Work program has implemented several improvements, including revising questions on the Area Concentration Test (capstone examination selected by faculty) and increasing the number of students who participate in volunteering and/or study abroad activities. 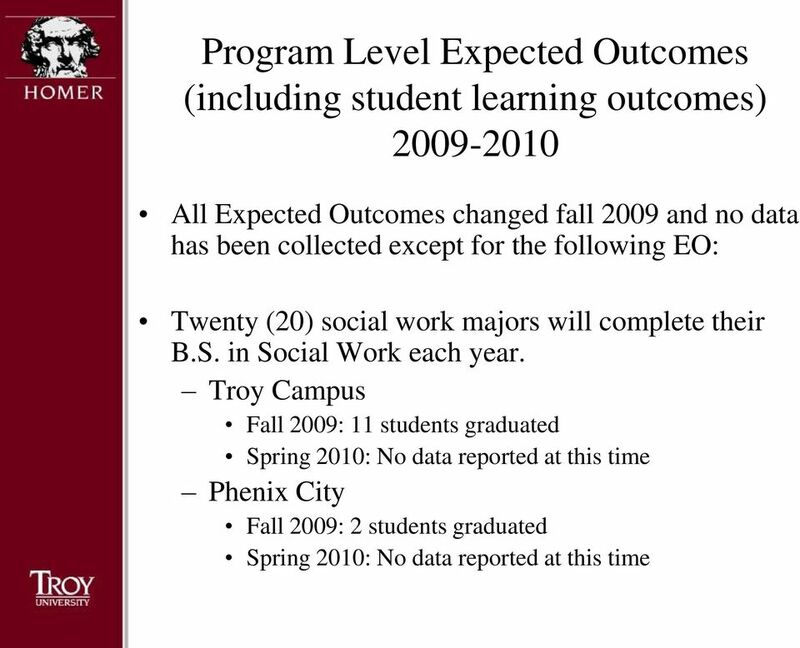 12 Plans for Further Improvement, The program will revise data collecting process for Program Level Outcomes. 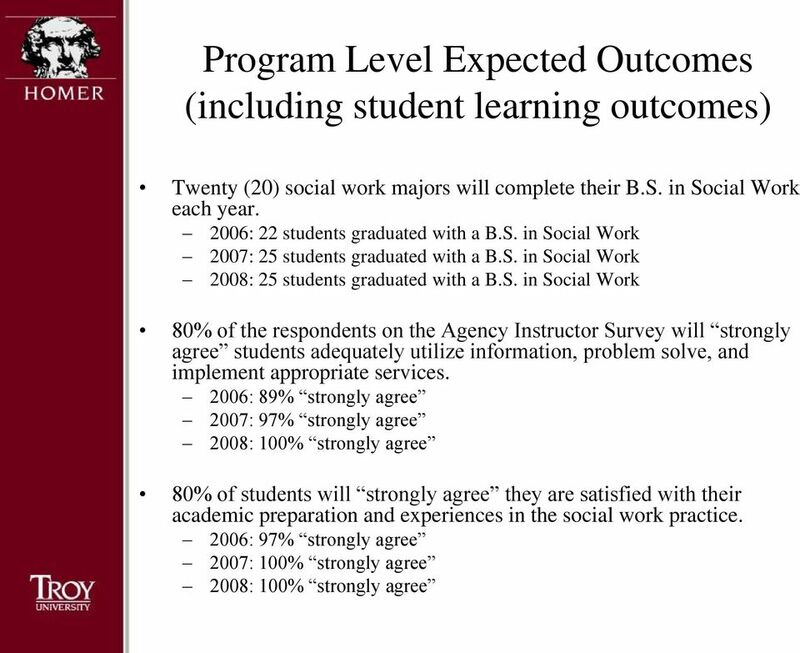 The program will increase the number of graduates to twenty-five (25) per year. 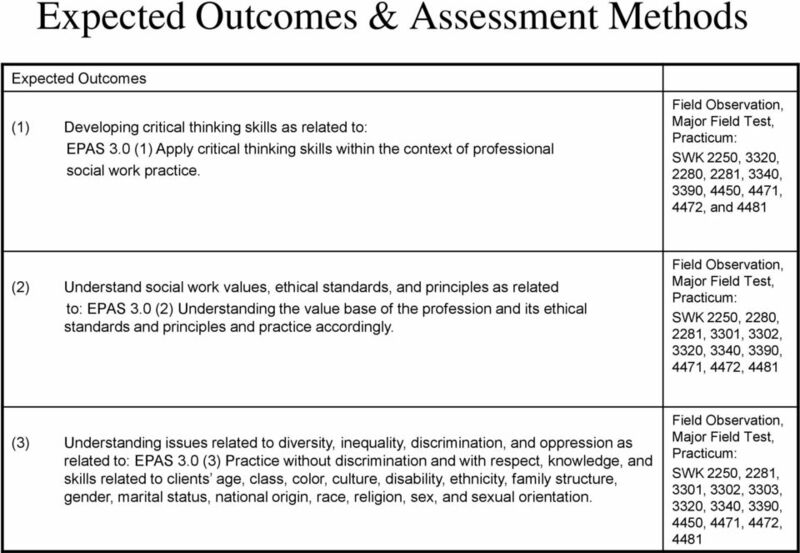 The program will revise assessment procedures for Program Level Outcomes (i.e., research standardized examination) to provide resources to increase aggregate score. 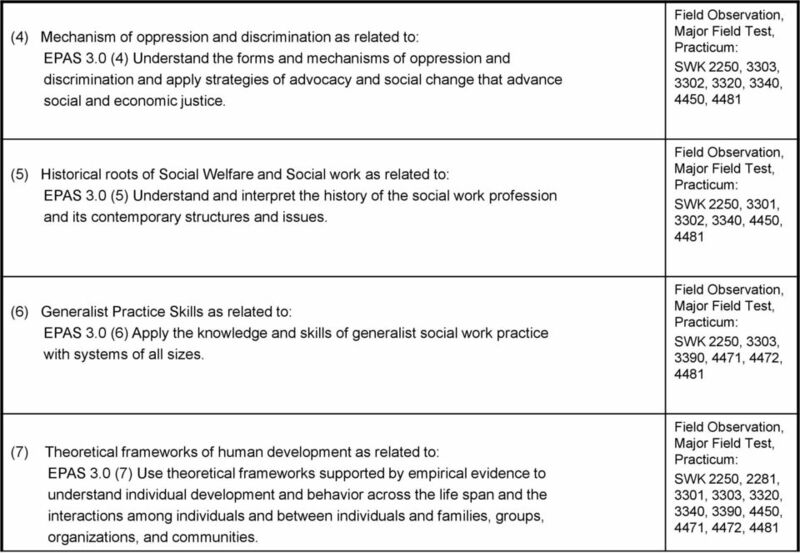 The program will increase the number of respondents on the practicum evaluation. 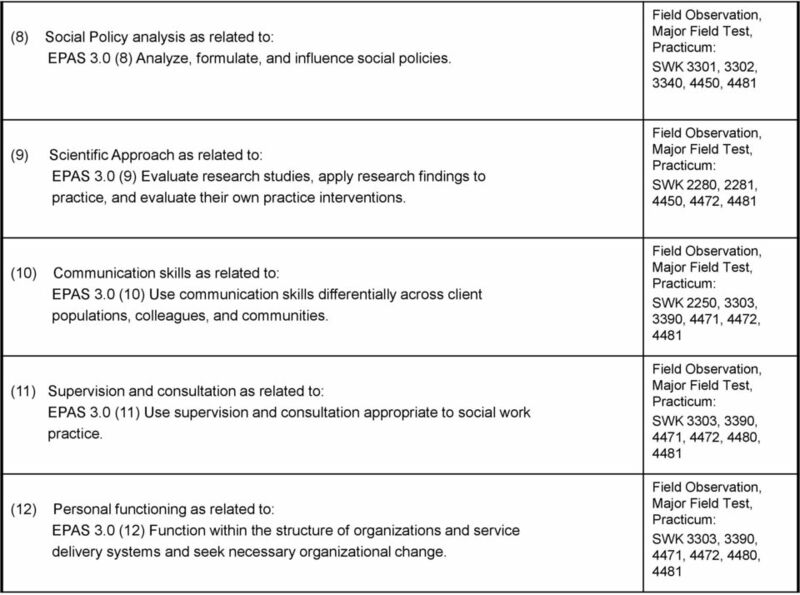 13 Plans for Further Improvement, Data will be collected for new Expected Outcomes information.